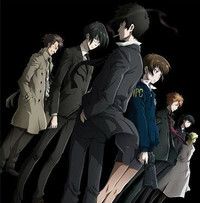 psycho-pass.com has recently been updated, and an announcement event was planned for September 6th, leading fans of sci-fi anime Psycho-Pass to supposed that a second season was in the making. Well, looks like the guesses were correct because Production I.G's Mitsuhisa Ishikawa confirmed at Anime Expo that production had begun. Crunchyroll App Coming to PlayStation Vita!